Twenty-one years ago, when a conductor was poisoned and the Questura sent a man to investigate, readers first met Commissario Guido Brunetti. 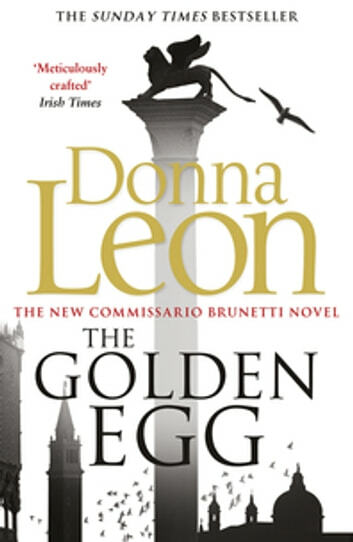 Since 1992's Death at La Fenice, Donna Leon and her shrewd, sophisticated, and compassionate investigator have been delighting readers around the world. For her millions of fans, Leon's novels have opened a window into the private Venice of her citizens, a world of incomparable beauty, family intimacy, shocking crime, and insidious corruption. 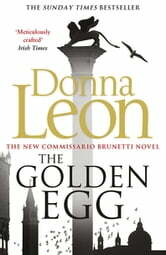 This internationally acclaimed, bestselling series is widely considered one of the best ever written, and William Heinemann is thrilled to be publishing the twenty-second installment, The Golden Egg, in April 2013. When making routine enquiries into a possible bribery case that could embarrass the mayor - a humiliation Vice-Questore Patta is very keen to avoid - Commissario Brunetti receives a call from his wife, Paola, who is evidently very upset. The middle-aged deaf mute with the mental age of a child who helped out at the Brunetti's dry cleaners has been found dead - an 'accidental' overdose of his mother's sleeping pills - and for some reason Paola is distraught by the news. To the neighbourhood he was just the 'boy' who helped out, but nobody knew much about him - not even his name. That a soul could have lived such a joyless life is too much for Paola to bear, and she asks Guido if he can find out what happened. It is a surprise to Brunetti just how little was known about this man-child - there are no official records to show he even existed. The man's mother is angry and contradictory when questioned about his death, and Brunetti senses that there much more to the story than she is willing to tell. With the help of Inspector Vianello and the ever-resourceful Signorina Elettra, perhaps Brunetti can get to the truth and find some measure of solace. As usual Leon builds great character's and shows empathy through the lovely inspector Brunetti.